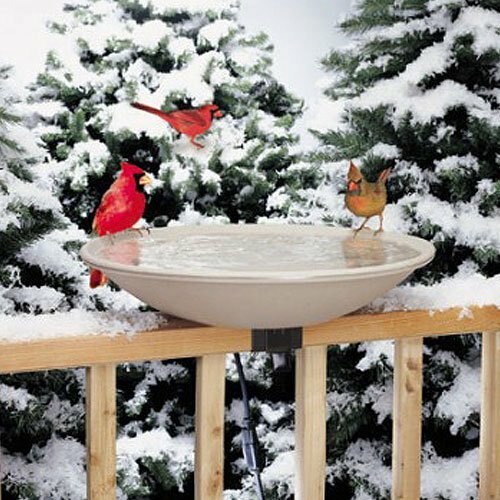 PATRIOTIC GARDEN: Exhart’s collection of patriotic decorations is sure to make your yard look festive! 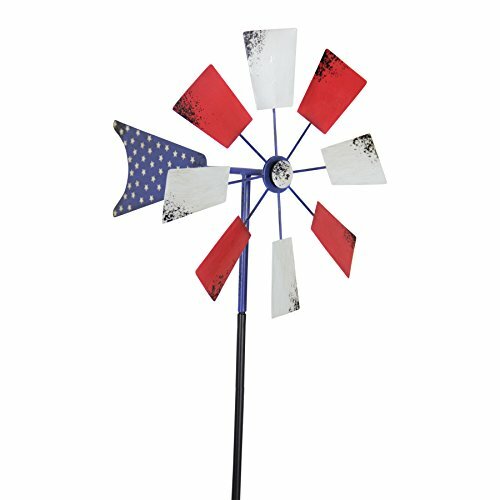 This windmill spinner garden stake will add some color to your garden with its patriotic red, white and blue metal blades. This vintage kinetic art has been inspired by classic heartland farm windmills. Its star-spangled blue rudder will catch the sun and wind. 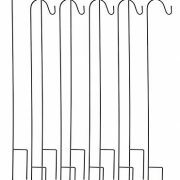 DURABLE DECOR: This wind powered garden décor is lacquered for weather resistance with a garden stake strong enough to hold up the durable topper. It can withstand the harshest weather condition. 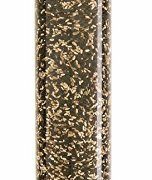 This energy-efficient garden windmill is easy to setup, and will last season after season, only requiring you to stick it into stable ground. 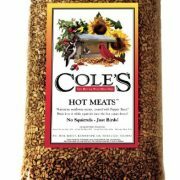 FANTASTIC GIFT: Show some love for your green thumb friends and family by giving them fantastic gardening gifts. 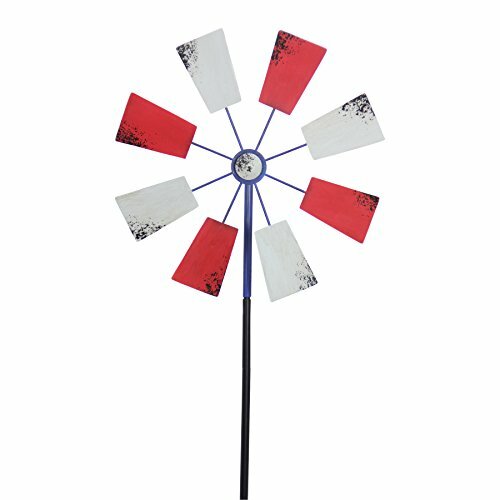 Exhart’s yard pinwheel decorations are sure to put a smile on everyone’s faces with their unique hand painted design and functional use. 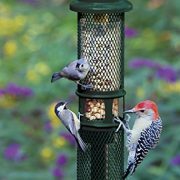 These make the best gardeners gift! 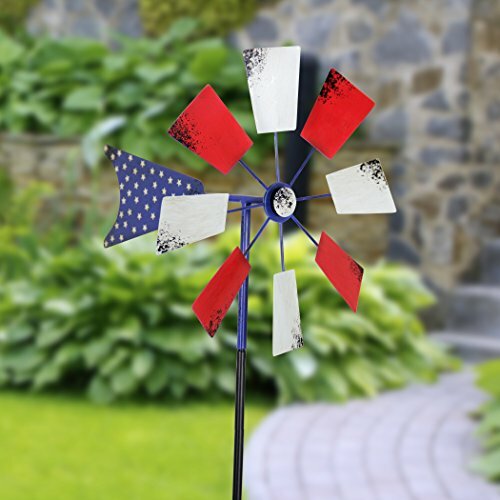 CAPTIVATING VIEW: Show patriotism in your life with charming Americana yard pinwheel decorations! 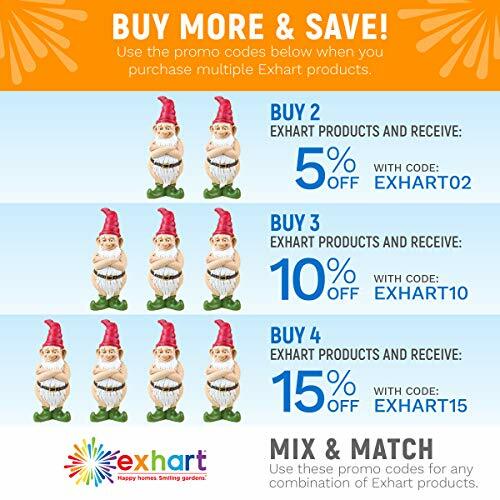 Exhart offers a wide collection of outdoor garden decors like wind chimes, bird feeder, garden gnomes, garden stakes and more!